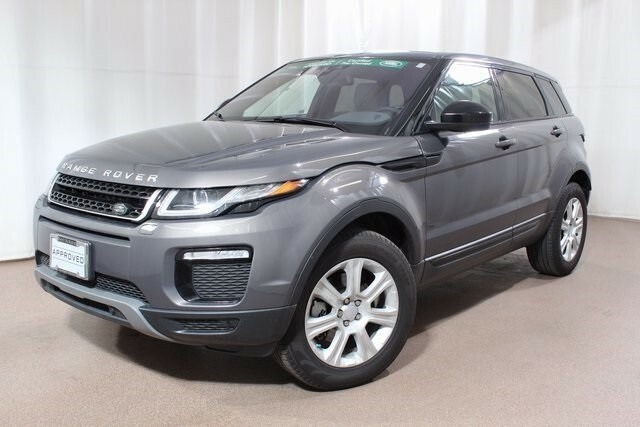 Land Rover Colorado Springs is excited to offer this 2016 Range Rover Evoque SE Premium 4WD SUV for sale. This vehicle was part of our Service Loaner Program so you get the benefit of the low mileage and large cost savings. The powerful 2.0L I4 engine and performance 9-speed automatic transmission are very capable for all of your needs. This Land Rover is also rated a fuel-efficient estimated 30 MPG on the highway and 21 MPG in the city. The highly capable Terrain Response 4-WD makes it a great vehicle for all seasons and adventures. The Evoque also features: Bluetooth wireless phone connectivity/audio streaming, Meridian sound system with CD/MP3/USB, aluminum wheels, dual-zone climate control.. and many more exciting features. Stop in to Land Rover Colorado Springs today to test drive this fun and powerful SUV. Test out the many amazing features! See how great your next driving adventure will be, whether that is your daily commute or a trip to the Colorado mountains.